Avocados are one of my many favorite fruits. Actually scratch that I don't think I have a favorite, they're all so delicious! This avocado soup is all raw with spices making it a great snack with all those enzymes ready to boost up your body! It's so creamy and luscious, you could also use it as a dip but I enjoy it more by itself. Note: Serve cold! Blend the avocado and water until formed into a purée. 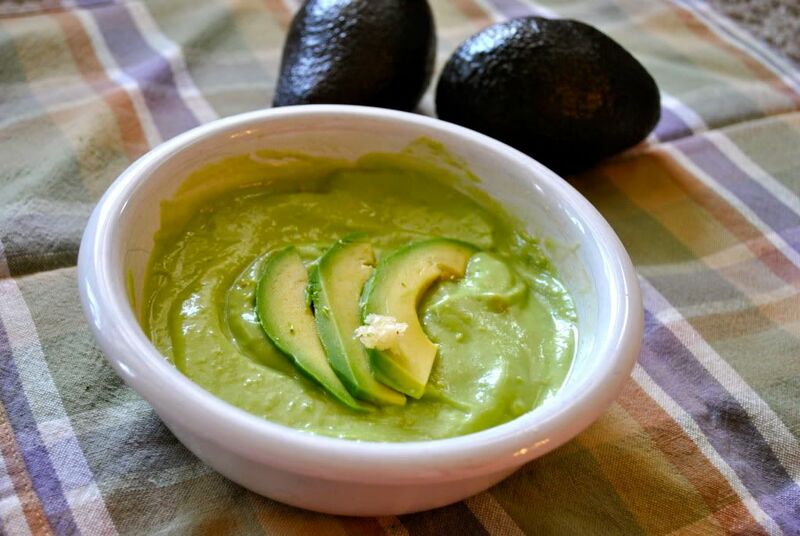 Pour into a cereal sized bowl, add ginger and garlic and your creamy avocado soup is ready! If you want it warm, just put the soup in a pan on the stove on high and stir constantly so one part doesn't get too hot and kill the enzymes. You want it to be warm to the touch but not hot. Click here to learn more about enzymes.